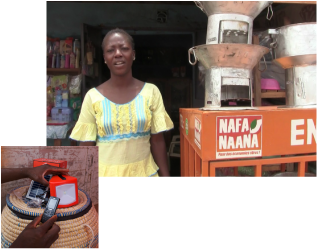 Nafa Naana products are sold through three distribution channels : shops, retailers, and “Grands Comptes”. 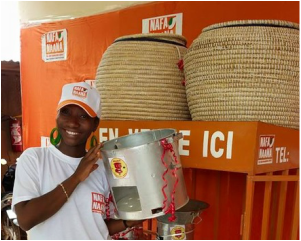 Nafa Naana owns three shops located in Ouagadougou, Bobo Dioulasso, and Dano. They are managed by Nafa Naana’s staff and offer storage units as well as direct points of sales. Nafa Naana has established partnerships with over 50 affiliated sellers who distribute Nafa Naana products. Resellers sign a contract with Nafa Naana and benefit from both financial and non-financial services to help them in their activities. Nafa Naana’s retailers are located in Bobo Dioulasso, Dano, and Ouagadougou’s regions. Nafa Naana has partnered with over 66 associations and women's groups. 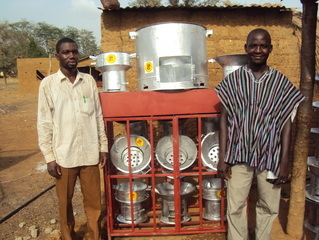 Grands Comptes deliver energy products to their beneficiaries. Not only do they allow for the social enterprise to reach remote areas but they can also help overcome financial barriers by providing flexible payment options. I opened my shop selling printed body wraps and baby clothes a year ago. It gets me out of the house and I really love the contact I have with customers, especially those who come to ask about the Nafa Naana stoves and lamps, because I can offer them advice. Before I started selling them, I did a training course with Nafa Naana. During this training, I carried out tests to compare the efficiency of the improved stoves against the traditional ones: the new ones use 30% less fuel than the old ones! Since then, I have been trying to convince my customers to get kitted out so that they can save money. 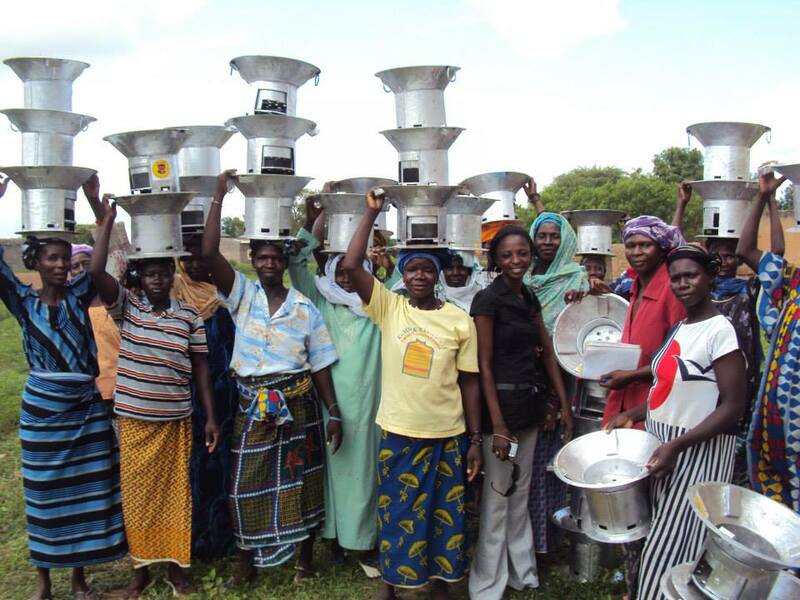 Solar lamps also bring savings as there is no need to buy batteries, which are very expensive. During the many power cuts, these are very useful for selling in the evening time and for children’s homework, etc. ﻿﻿Cheick, Nafa Naana’s sales promoter, entrusts me with stock with a three month repayment time. We monitor the sales together every month. I then place another order which he delivers a few days later. JOIN NAFA NAANA'S DISTRIBUTION NETWORK NOW!